My Plan Is To Give You Victory. Joshua had a unique faith that pleased God, and he was able to come back to the Promised Land. The entire generation, who left the Egypt and walked on dry land through the Red Sea, perished due to their unbelief. They saw the promised land, but they believed the report of the ten spies who told an impossibility of getting into the land due to the strong people and the terrifying giants in the land rather than God’s promise made generations before. We easily say why they did not believe the God’s promise? 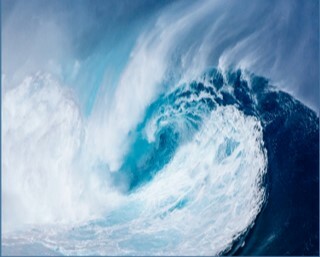 They saw God’s hand and experience many miracles including parting the Red Sea. They were able to see the dead bodies of the Egyptian armies floating near the shoreline. The Egyptian armies were drowned while testing God’s hand. Why couldn’t they believe? Did they did not trust God and His promise? No. They did. When an impossibility came, they could not resist and give in. Only believed Joshua and Caleb. By the way, what is the impossibility? It was originated from the minds of the Israelites. That was the fear only existed in the hearts of the Israelites despite of God’s promise and His presence. Joshua was different. His faith pleased God. Even so, Joshua’s faith was not perfect. He was too competent not to ask God before attacking Ai. He was under a celebrative mood after the huge victory over Jericho, which was a big and completely fortified city surrounded by a strong wall reaching to the sky. Ai was much smaller and weaker than Jericho. Joshua sent spies, and the spies gave a report that matched with his assessment. Based on his own judgement, Joshua sent a small number of Israel warriors. Unexpectedly, they easily defeated by Ai. It was a wakeup call. Joshua suddenly realized that all things belonged to God, and his fault and sin not asking to God first. He, then, humbled and asked God. Before Joshua’s humility, God was able to guide and help Joshua and his armies. Joshua could conquer Ai because God fought for them. After this painful experience, Joshua felt that he learned enough. He would not get into another trap of his own like this. Sadly, it was not the case. Soon Joshua was visited by the Gibeonites. The Gibeonites, who feared the Israelites, disguised themselves as if they had traveled far. With flattering words, they presented dry loafs of bread, old wineskins, worn out clothing and sandals. To the eyes of Joshua and his leaders, all made sense and logical. Joshua and the Israelites carefully and thoroughly examined all evidences, but they did not consult God. 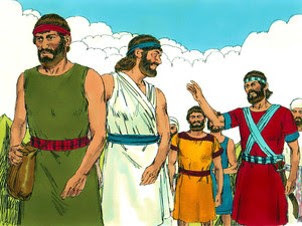 Then Joshua made a peace treaty with them and guaranteed their safety, and the leaders of the community ratified their agreement with a binding oath. 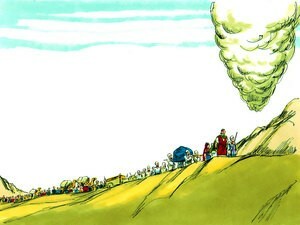 Three days after making the treaty, the Israelites reached the towns of Gibeonites. Then Joshua and his people realized that they were deceived. Joshua again experienced the consequence of not asking God first. For this time, the people of Israel grumbled against Joshua and his leaders because of the treaty made out of the deception. God allowed Joshua to be publicly humiliated. Joshua learned hard way. Why did God make Joshua fall into the traps that made by himself? God dearly loved Joshua. Especially, Joshua’s unique faith pleased God. In fact, God had a grand plan for Joshua, but Joshua was not fully qualified for the God’s grand plan. God saw the potential of Joshua, and God let Joshua go through faith lessons specifically designed for Joshua. The goal was neither to make Joshua disappointed nor to be humiliated, but to have Joshua to acquire the faith that needed for God’s plan. God’s plan was grandiose and Joshua was also truly great. After the two painful failures in a row before God and his own people, Joshua got it. Joshua knew who God was and what God actually would do: God was infinitely loving and faithful, and He kept His promise no matter what happened. When the entire generation of the exodus from Egypt was unfit for His promise, God raised another generation who could possess the Promised Land as promised by God long before. When Joshua was not fully prepared, God gave him chances to learn through trainings that God specifically prepared for Joshua. Yes, Joshua was heartbroken before the dead warriors killed by Ai and he was publicly humilated before the entire people, who was much younger than him because the entire new generation of the Israelites was born in the wilderness. A failure in our lives is painful. We powerlessly observe our lives falling off, as it comes into our lives. We try to avoid it, but in fact, it is not avoidable because it is the very consequences of our failure. As the pain increases, we desperately pray to God and ask prayers, but nothing changes. Why? God dearly loves us. He wants for us to learn, understand and grow in Him. We have talked about the impossibility confronted by the Israelites when they tried to enter the Promised Land. Let’s question about the true nature of the impossibility. Was it really impossible? The answer was “yes” as far as the Israelites concerned. Why did they think that it was impossible? Their assumption was to use their own strength to defeat the strong people living in fortified cities surrounded by immense walls, and the terrifying giants. The generation of unbelief, thus, had to perish with the unbelief in the wilderness. Forty years later, God brought a new generation, and proved that it was not impossible. 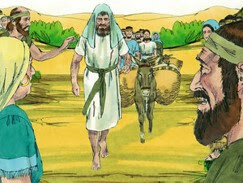 Joshua and the new generation of Israelites believed God’s promised, and they entered the Promised Land in faith. There was no evidence that the new generation was stronger and more skillful at a battle than the old generation perished. The military strengths of both generations must have been essentially equal. Then what’s the difference to make them boldly go into the Promised Land. Only was the difference whether believing God’s promise or not under an impossibility. As matter of fact, God fought for the Israelites. 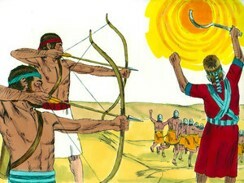 As we know, the first battle against Jericho did not require any military tactics nor strength. They just followed God’s command while circling around the wall of Jericho for seven day in their absolute faith. It was sufficient. 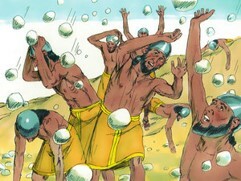 The strong wall fell at the sound of the Israelites shouting in faith. Jericho without the protection of the strong wall was literally nothing. They were in confusion and chaos, who were completely destroyed by the unskilled and untrained bunch of the decedents of the Ex-slave. Therefore, what should we do when we confront with our life pain, disappointment, hardship, and failure? We need to give thanks to God for His provision of the best although our eyes cannot see and our mind tells the other way due to the pain. Surely, He knows pains, but He patiently waits for us to grow in Him. This is our faith, and our praise to God in our life pain. This is the most precious before God’s eyes and for us. Faith -- Believing God And His Promise Against Impossibility! Joshua was faithful, and heard God first before relying on his own thought, experiences and wisdom. How is difficult for us not to rely on our knowledge, wisdom and experiences, but God? Yes, it is very difficult because God is not visible. However, this is the faith that we believe our God, and hope in Him, who is invisible. Joshua had a uniquely qualifying faith that pleased God, which the other ten spies did not have. Soon there was a commotion in the crowd. The people started looked each other. They could not believe what they heard. The Promised Land was right before their eyes, but it was of no use because they could not get in. The Promised Land was already occupied by the powerful people. Their cities were fortified. Especially there were the giant descendants of Anak, who were truly fearful and terrifying because all were destroyed by the giants. Nobody ever defeated. Practically speaking, it was a suicidal mission to get into the Promised Land. They would not survive except being completely destroyed by the powerful people and the giants. All of the hopes and their faith were shattered. They confronted the harsh reality. They were powerless, and the Promised Land was untouchable. They hoped so long time, but it was a just dream. The entire community was getting filled with confusion, despair and even anger instead of thanksgiving and praises. The rest of the ten spies sharply disagreed with their logical rationale. 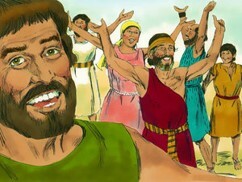 The people chose the ten spies, and heard their voice instead of Joshua and Caleb. Nothing could stop the angry crowd. 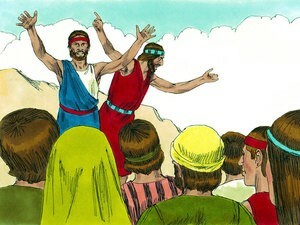 Then the entire Israelites together complained and protested against Moses and God, who promised the Promised Land. Nobody tried to calm down and ask to God. Instead they used their own eyes and eyes, and made a conclusion – the promise was false, and they should have not believed God’s promise anymore. 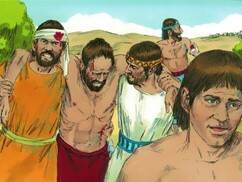 What a sad moment it was for the entire Israelites! This made them return to the wilderness, and wandered till the entire unbelieving generation was perished in the wilderness. In fact, nobody from the unbelieving and rebellious generation made to the promised land except Joshua and Caleb. Those who got to the Promised Land was a completely new generation born after the unbelieving generation in the wilderness. 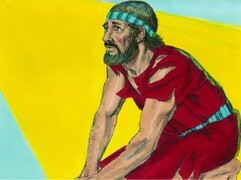 Joshua had a uniquely qualifying faith pleasing God. He believed God’s promised despite of the impossibility that he confronted with. Surely, fighting against the strong people who were protected by fortified walls and especially the terrifying giant Anakites was practically speaking suicidal. Defeating all these people and the giants and occupying the Promised Land was unthinkable. Who would think that the ex-slave Israelites would subdue the strong people and the terrifying giant Anakites in the Promised Land? Only was Joshua’s faith in God the answer. Joshua resisted and hold on tight His promise in faith. Joshua’s faith transcended all understanding, and made him fix the hope in God while forcefully refusing all doubts in his heart. Joshua completely trusted Him and believed His promise despite all signs against God’s promise. After the big disappointment of not being able to get into the Promised Land, the entire Israelites wonders the wilderness. However, Joshua’s faith had not been diminished. He had never forgotten God’s promise, and he endured. He waited and waited for God’s promise. After more than thirty-nine years later, God allowed Joshua to return to the same place where he resisted the temptation of trusting his own eyes and joining the unbelieving majority. For this time, the biggest difference was Joshua was the leader of the Israelites. Joshua used to be just one of the twelve voice when being sent by Moses, and now Joshua was at the position to decide and lead the entire Israelites. Joshua had never forgotten the unfaithfulness of the Israelites about the forty years ago at the same place, and the consequence – wondering and perishing in the wilderness. Nobody survived except Joshua himself and Caleb, the two faithful spies who trusted God and His promise before the impossibility. Joshua did not repeat the same mistake again – selecting spies not by faith but by the needs of the twelve tribes to represent each tribe. Joshua sent only two spies, who truly believed God and His promise. In fact, Joshua knew exactly the Promised Land because he spied for forty days before. Thus, for Joshua, the spies’ mission was not exploring the promised land, but confirming God’s promise by the other faithful people’s eyes. The two spies came down from the Promised Land, crossed the Jordan River, and reported to Joshua all that they saw and experienced. “The LORD has given us the whole land,” they said, “for all the people in the land are terrified of us.” (Joshua 2:24) What a different answer that they brought! They saw the same land and the same people dwelling in the Promised Land. The people living in the land were mighty and fortified with strong walls, and the terrifying giant Anakites were still there. Even so, the spies’ report was completely opposite. Why? The first twelve spies could not see God’s plan in the midst of the harsh reality of the fortified cities, strong people, and the giants except Joshua and Caleb. Before the reality, the majority ten spies’ faith was melted. They could no longer believe God’s promise, which made the entire Israelites lose their faith in God. The second two spies saw the same harsh reality, but they could come to a completely opposite conclusion: “God has given us the whole land, for all the people in the land are terrified of us.” They saw the strong people dwelling in the Promised Land, who were protected by the fortified wall reaching to sky, but they were terrified. Instead through the faith, they found the seemingly strong and invincible people were actually terrified of the Israelites. On the contrarily, God had already made them terrified before the Israelites for His own beloved children. The situation did not change at all, but the spies could see God’s plan and His mighty hand before them. 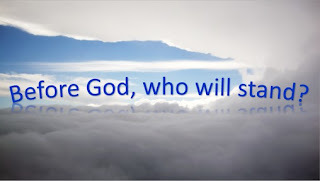 Before God, who will stand? Nobody. If God is for us, nobody can against us. We are continuously bombed by temptations, harsh reality, associated pains and disappointments in us. Then we constantly adjust, respond and react to things approaching to us every moment. We see and make a judgement, which is our natural mode of operations. We all know without knowledge, making a decision is foolish. 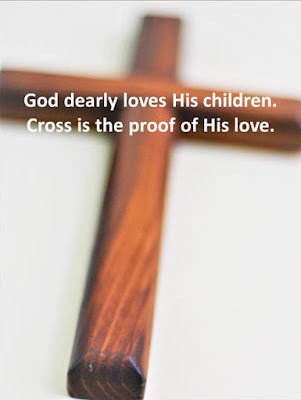 However, even more foolish is we don’t believe God and His promise although we say we believe God every Sunday morning. We all nod. God is our Ever-Loving Father and the master of the universe. However, we will know about our faith when there is a conflict between what we see and God and His promise. Joshua had a uniquely qualifying faith in Him before God. In faith, Joshua resisted the temptation of believing what he saw – the strong people, the fortified cities and walls, and especially the terrifyingly giant Anakites. He could have been terrified like the rest, but he firmly believed God and His promise. Joshua completely trusted God although his eyes observed the completely different picture. It was really difficult to speak against the major majority of ten spies giving the report filled with the full of rational reasons and logic and impossibility. But he spoke out the God’s unchanging promise in faith against the impossibility before the entire people of Israel. Faith -- God Fights For Us To Victory! God, who loves His children, is always with us, and carefully watching over everything happening in our lives. Joshua and the Israelites experienced the loving God many times. However, their memory was short-lived and they were prone to forget. Instead, their hearts were quickly filled up with what they wanted and valued most, and especially their own egos. It was very hard to take off their egos so tightly clinging to them. Intellectually knowing God was not enough. Indeed, they had full of knowledge about the God, who freed them from the Egypt, made them walk on dry land through the Red Sea, provided manna in the middle of the wilderness for forty years, made them cross the Jordon river on foot during the harvest season when the water level was the highest, and gave them the huge victory over Jericho by just shouting to the invincible wall of Jericho in faith. Even so, they repeatedly put themselves before God. Joshua and his leaders made a treaty with the Gibeonites only by relying on their wisdom and doing their own diligence without asking God. Where was God in their hearts? Why not talking to God was a part of their doing diligence? After all, they saw many miracles and experienced the numerous God’s mighty hands. Many of us would say even one single miracle of God will guarantee: we will never forget God throughout the rest of our lives. 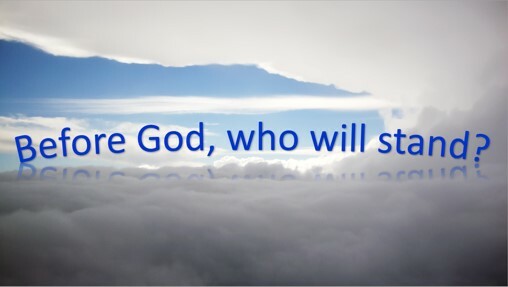 Always will we be faithful to God no matter what will happens in future. It seems a really logical statement. Does it? At least, we know that Joshua failed, who was so faithful in faith throughout the forty years of journey in the wilderness during the time of the Exodus. Even so, Joshua forgot God, and he attacked Ai based on his own wisdom and his spies’ report. Where was God at that time? Joshua, after a huge victory over Jericho, (in reality, he did not fight but God fought for him and the Israelites), his heart was completely filled up with himself. In His heart, there was no room for God. Only after Joshua completely defeated by the seemingly much weaker Ai than the people of Jericho, Joshua came back to God, and heard Him. Then Joshua precisely followed what God told to do so, which came from God’s wisdom. This brought back a victory to Joshua. It was a huge lesson for Joshua. However, the lesson was not enough for Joshua. 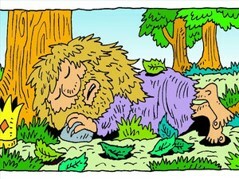 A few day later, he was visited by Gibeonites, who were looked people from a far distance. Let’s put ourselves in the Joshua’s shoes. What would be our first action? Would we approach to God to ask first? (Please try to answer this question. Please remember the visit was made right after the victory over Ai by listening to God and following exactly what God asked to do.) In fact, Joshua did not. He forgot about God and what He did for him and the Israelites for a few days ago. Joshua had to learn another hard lesson, and God rescued Joshua again. Through the journey with God, Joshua slowly but steadily learned about God by experiencing Him out of both his faithfulness to God and his egocentric sinfulness before God. Through the ups and downs in his life, Joshua’s faith was strengthened and was able to truly experience God, which was God really wanted. Joshua and his entire army, including his best warriors, left Gilgal and set out for Gibeon. Most of all, God was with Joshua. Joshua traveled all night from Gilgal and took the Amorite armies by surprise. God saw what Joshua did faithfully for the Gibeonites. Yes, it also pleased God. God did not stand still. God stretched His arm, and touched the united troops of the seven kings. His mighty hand threw them into a panic, and the entire united armies were paralyzed. Ahead of Joshua, God prepared to be defeated. The armies of the Israelites under the leadership of Joshua slaughtered great numbers of the united armies of the seven kings at Gibeon. The united armies fled, and the Israelites chased the enemy along the road to Beth-horon, killing them all along the way to Azekah and Makkedah. As the united army retreated down the road from Beth-horon, God sent a terrible hailstorm from heaven that continued until they reached Azekah, which destroyed the retreating armies. The hail killed more of the united armies than the Israelites killed with the sword. This was what God did for Joshua and His people. Yes, Joshua did all that he could do with his armies. In reality, God fought for them. God threw them into a panic before Joshua and his armies, and God also killed more of the enemies with the terrible hailstorm. This was what God had done for Joshua and the Israelites, when Joshua truly became God’s faithful servant by carefully listening to God and following His command. To reach this level of faithfulness, Joshua had to go through many pains caused by his sinfulness before God. After all, Joshua truly learned, and experienced God. On the day God gave the Israelites victory over the united kings of Amorites. Here is what Joshua actually did and how God answered to Joshua. Joshua and the Israelites slaughtered the enemy. Even so, the enemy armies were huge, and lots of enemy armies were still there. The sun was moving west and the shadow was lengthening. He found there were not enough time to fight. He needed more light. If not, Joshua and the Israelites could not finish up the united armies. Who could make such a prayer to God in front of a huge number of people? Yes, Joshua did in faith without any doubt. 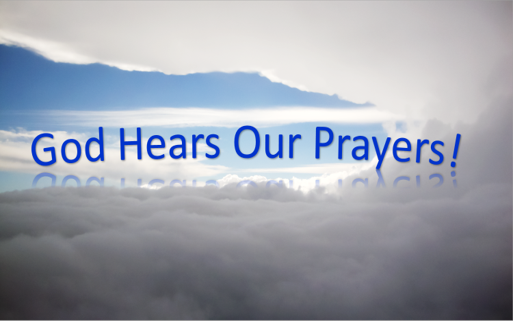 God heard his prayer in faith, and answer. Let’s put ourselves as the Israelites warriors’ shoes, who were in the mist of the battle. We fought and fought all day long, and the battle had been great. The Israelites were winning destroying the enemies left and right. The enemies were fleeing. When we looked up the sky, we saw the sun that was about to set. We need more day time to completely destroy the enemies so that there would no more attack in future. We realized that we were running against the time. Although we did everything that we could, it was so obvious that we could not finish up the battle. As the sun set, it would be soon dark. The enemies would hide. 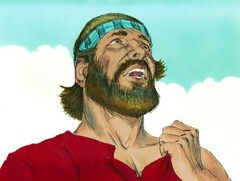 Then suddenly, Joshua stood up, while looking up heavens, and prayed to God with a loud voice. 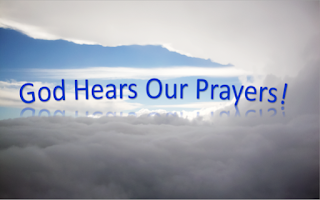 Initially we could not believe what he asked to God in his prayer. He asked to make the sun stand still in the sky. His face was filled with his faith in God without a single hint of doubt. His prayer was so bold. We knew nobody would prayed like Joshua. Then what did happen next? The sun actually stopped its movement and stood still in the sky! What a miracle! Then we fought and fought until all enemies completely destroyed. Yes, we literally wiped out the entire united armies of the seven kings. We won the victory. Surely God was with the Israelites. God fought for the Israelites. The united armies of the seven kings were a formidable threat to the Israelites. They were much bigger than the armies of Israelites. Practically speaking, there was no chance to win the battle against the huge enemies. 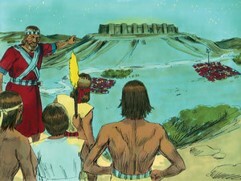 They were more numerous, more skilled and knew the area much better than the Israelites. They lived in the area for generations. They knew every detail of the land, and how to use the area for their advantage to defeat the Israelites, who were just new comers into the region. In the eyes of both the united armies, and the Israelites, there was no chance that the Israelites would win. In fact, who did win the battle? How did the Israelites win the battle against the seven kings’ united armies? What had God actually done for the Israelites before and during the battle? What happened to the sun? Even did the sun stand still in the sky? Why was the sun standing still in the sky? Wasn’t there one faithful prayer of Joshua? Faith -- Our God Is Almighty and Ever-Loving Father! God is patient. He patiently waited for us, especially when we go astray due to our own ego, which suddenly becomes bigger than God. So many times, we learned and experienced about this ugliness, but when a favorable wind blows and a bright sun warms our heart, we soon run toward what is good and right to our eyes without talking to God. Soon, we get into trouble. After then, we look back and question. It is the moment that God has specifically and lovingly prepared for us. No pain and no gain. Even in the spiritual realm, this principle works. Often this the engine making us to move through our own sanctification process, transforming us holier and closer to God -- meaning getting like Him. Let’s look around those who are mature in their spiritual work in faith and reading about those who were our forefathers who kept their faith even under an unimaginable situation. Surely no exception is found. 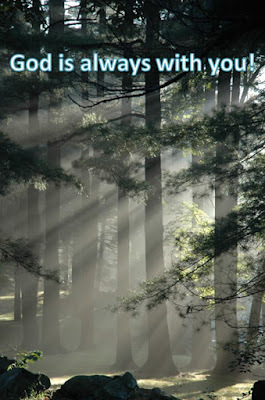 Unfortunately, going astray from God belongs to us, but the Love of God is always with us, which even greater than this. When we are in our life trouble, soon or later, we get to a point that we have no place to go. We had already done everything known to us and including something that we could only imagine in a dream. Why is there no way out but being stuck in our life trouble? The answer is that God dearly, madly loves us. Although we feel completely opposite, it is the time that the God intervenes and is tightly holding us with His almighty and loving hand. He is preventing us to go down the rathole that we have made any further and deeper. 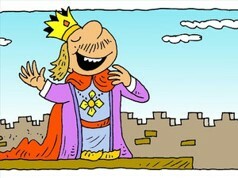 King Nebuchadnezzar was the most powerful king at that time. He heard a wisdom of Daniel from God, but he could not put into a real practice. His ego was greater than God. “That same hour the judgment was fulfilled, and Nebuchadnezzar was driven from human society. He ate grass like a cow, and he was drenched with the dew of heaven. He lived this way until his hair was as long as eagles’ feathers and his nails were like birds’ claws. “After this time had passed, I, Nebuchadnezzar, looked up to heaven. My sanity returned, and I praised and worshiped the Most High and honored the one who lives forever. and his kingdom is eternal. are nothing compared to him. and among the people of the earth. Even the King of Babylon experienced who God was, and God forgave the king’s sin when the king truly recognized his sin and his huge ego used to be bigger than God. If God cared for the Babylonian king, how much would He do for God’s children whom He madly loves? Let’s return to Joshua and the Israelites, who learned the hard way. In a few days later, the Israelites found they were completely deceived. The Gibeonites lived right next to where they were, although Joshua and the leaders of the Israelites believed that they came from a land with a far distance. Of course, they thoroughly examined all evidences, and made a rational decision, but they forgot the most critical one -- asking God. 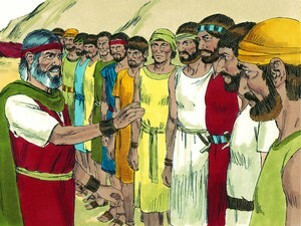 Then their deception made them being harshly blamed by the Israelites, which put a real shame on Joshua and the leader. Yes, it could be worse. God was so gracious and merciful. God protected from the deception and minimized damage. Under God’s hand, the Gibeonites were peacefully integrated without giving additional trouble or harm. Yes, God was always faithful to His children and protected them. 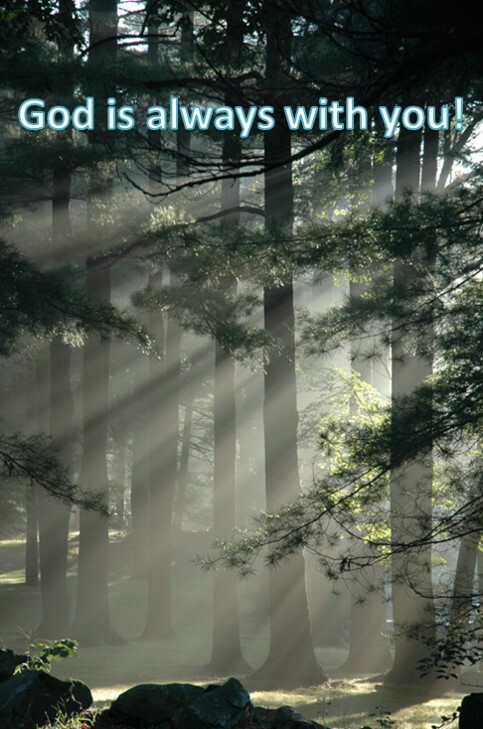 The same God with us under any circumstances. This is our faith. The world is not so simple as we expect or think because we are not in charge. God, who is above all things, guides us through the maze of this world that we cannot understand to make us to grow deeper the relationship with Our Heavenly Father. Adoni-zedek, king of Jerusalem, heard that Joshua had captured and completely destroyed Ai and killed its king, just as he had destroyed the town of Jericho and killed its king. 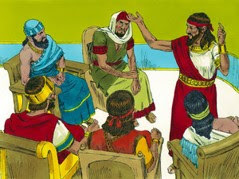 He also learned that the Gibeonites had made peace with Israel and were now their allies. He and his people became very afraid when they heard all this because Gibeon was a large town—as large as the royal cities and larger than Ai. And the Gibeonite men were strong warriors. So King Adoni-zedek of Jerusalem sent messengers to several other kings: Hoham of Hebron, Piram of Jarmuth, Japhia of Lachish, and Debir of Eglon. “Come and help me destroy Gibeon,” he urged them, “for they have made peace with Joshua and the people of Israel.” So these five Amorite kings combined their armies for a united attack. They moved all their troops into place and attacked Gibeon. What Joshua did for this time? Did he count his worriers first to make an informed and wise decision – whether he can fight against the united armies of five kings’ warriors? So far, Joshua led His people and fought against one king at a time. The situation was quite different. Five kings united as one against the Israelites. He had to fight for the five kings and their united armies. Additionally, the battle was not the matter of their own safety, but for the Gibeonites, who deceived and made Joshua fall in shame before the entire Israelites. If we were Joshua, what would be the best course of action? The number of the Israelite’s warriors were far less than that of the united armies. Many rationally might chose to do nothing. But Joshua did not. First He humbly asked God not for their own safety, but for the Gibeonites. This pleased God, and answered to Joshua, “Do not be afraid of them, for I have given you victory over them. Not a single one of them will be able to stand up to you.” God saw Joshua’s faith, who did rely on his ego, wisdom and smartness before. Joshua truly humbled before God. In God’s eye, Joshua was truly ready for a next greater thing that God had prepared. Who is our God? 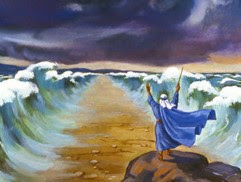 The God who led the Israelites by making them walk on dryland through the Red Sea. The God who made water gush out of the rock. 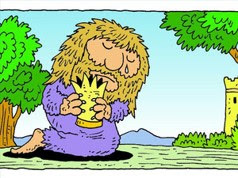 The God who provided manna throughout the dry wilderness. The God who split the Jordan river during the harvest season when the water level was the highest. The God who made the invincible wall of Jericho fall before the shout of the Israelites, His believed people. The God who never forgot His beloved children, the Israelites. Most importantly, the God who madly loved the Israelites because they were His beloved children. Yes, God was good to the Israelites, and now He is good to us now because we are His beloved children like the Israelites. Then what we can say today? We give thanks to God, and praise Him with the highest and loudest voice. God is Our Ever-Loving Father, and we are His beloved children in His kingdom. Sing praise. Sing Praise to God, who is Our Ever-Loving Father from now to forever!